Sign up for our bundled IP PBX package for Call CentresAlienEasy Linksys Internet Phone Adapter allows high-quality feature-rich VoIP service via your broadband Internet connection. Each of the Phone Adapter’s two telephone jacks operate independently, with separate Internet phone services and phone numbers. Therefore, you can have up to two Internet phone lines delivered through your cable or DSL Internet Connection. * Please click image to view clearer. Call rate RM0.11 to Fix line, RM0.13 to Mobile. *Before connecting the Phone Adapter, make sure you have set up an account with your Internet Phone Service Provider. If you already have an account set up, please proceed to step 1. After plugging in the Phone Adapter to your network router/gateway, connect your telephone to the Phone 1 port of the Phone Adapter with a telephone cable. *The Phone Adapter comes with a ringer (ring signal generator), which is a source of hazardous voltage. Avoid touching the Phone port wires, the wires of a cable connected to either of the phone ports or the internal circuitry when the ringer is activated. 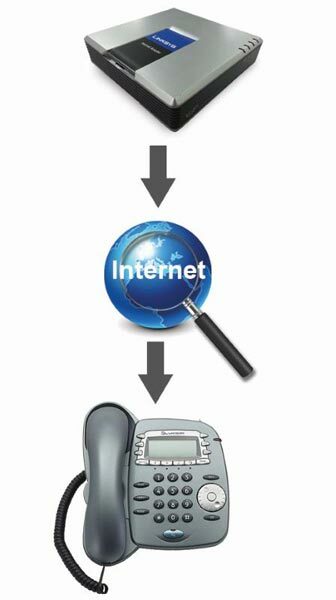 If you have a second internet phone service account, connect another telephone or a fax machine to the Phone 2 port of the Phone Adapter. *Do not connect either of the Phone ports to a telephone wall jack. Only connect a telephone or fax machine to either of the Phone ports. Else, the Phone Adapter or the telephone wiring may be damaged in your home or office. Connect the included Ethernet network cable to the Internet port of the Phone Adapter. Then, connect the other end to one of the Ethernet ports on your router/gateway. Connect the included power adapter to the POWER port on the back panel of the Phone Adapter. Then, connect the other end to a standard electrical outlet. The Status and Act LEDs will be solidly lit when the Phone Adapter is ready for use. Follow the instructions provided by your Internet Phone service provider. The installation is then completed. 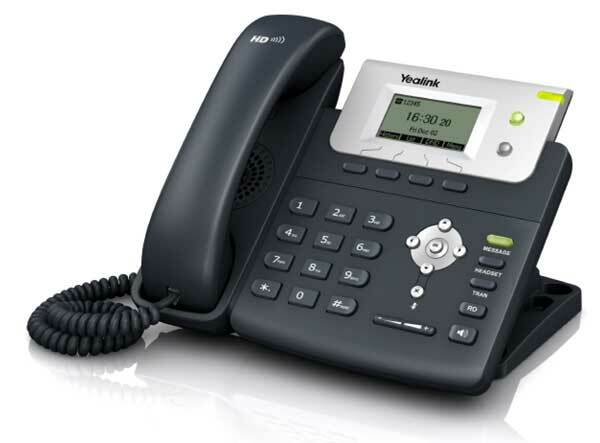 Before revamping your regular telephone network in your office, you will need to decide how each employee will be connected via IP PBX. 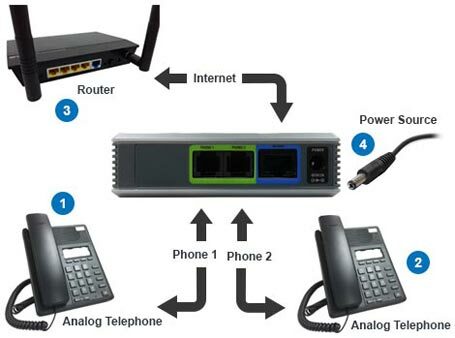 There are many IP-phone, telephone adapters, and IP-PBX choices available in e-Market. 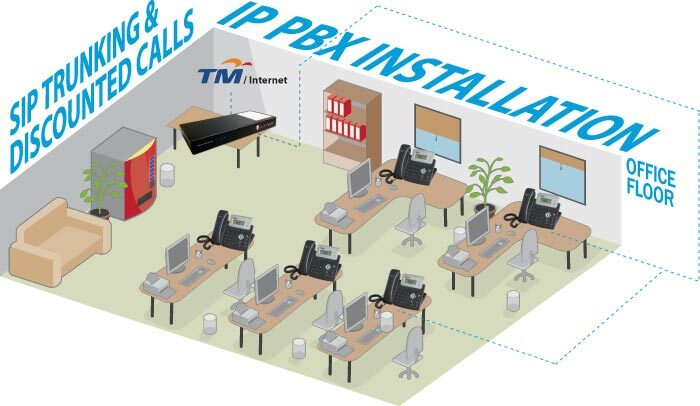 To keep your office telephone system up constantly connected, PBX Malaysia advices you to install a battery backup system in addition to your VoIP installation using UPS (Uninterrupted Power Supply), POE Switch (Power-over-Ethernet switch) and POE enabled IP-Phones. Below are some regular questions you may need to find out. You may request your IT department to provide you further details. If you require additional services that is not included in our IP PBX Bundle, please contact us and our representatives will be glad to help you. Do you have IT specialist in your company? How many network devices is available in your office? Is it a heavy usage internal network? How many phone extensions do you wish to have?